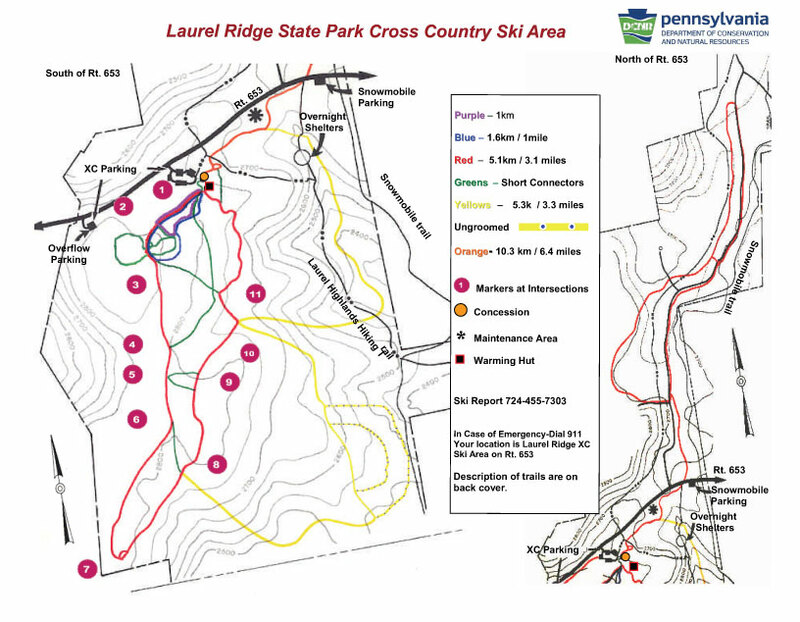 Laurel Ridge crosscountry ski area is located on PA Route 653 at the top of the mountain between Normalville and New Lexington (Approximately 10 miles north-east of Bear Run / Ohiopyle area). It is high in elevation (3000') and consequently has good snowfall for the area. On winter weekends (Fri, Sat, Sun) the facility and ski rental shop is operated by a concessionaire and a trail use fee is charged. 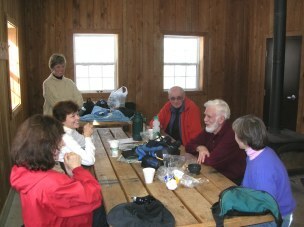 The concessionaire maintains the trails, grooms the trails, and sets tracks. 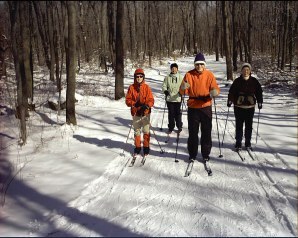 If you are a skate skier its the best place in the Laurel Highlands place to go. 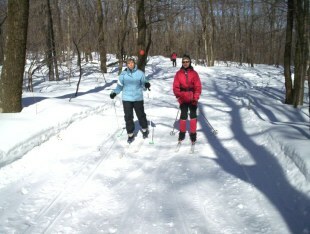 However the set classic tracks are much appreciated by the traditional skiers. Trails range from easy to advanced, so there is something for everyone. Check out the webcam that is operated by PACCSA (Pennsylvania Cross Country Skiing Assn) in the winter to see the snow condition first hand. Please help support the webcam by making a contribution. During the week (Monday - Thursday) the trail use pass is only required if the concessionaire has the rental shop open. 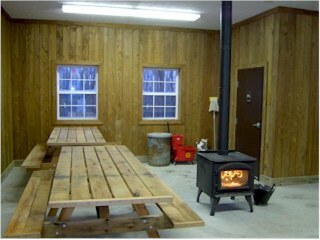 However, the warming hut with a real indoor bathroom is always open for use, complements of DCNR (and PACCSA).